I was, at one time or another, the captain of all senior teams, swimming, volleyball, tennis, hockey, basketball, athletics, cross-country and soft ball. 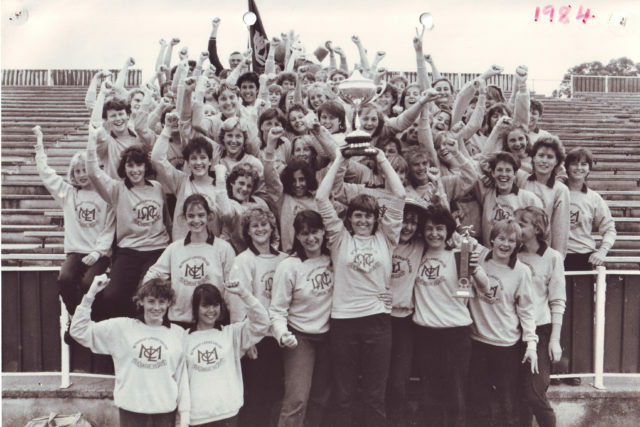 I was the winner of the Wendy Carr Best All Rounder in Sport all three years that I attended MLC. I completed my doctoral degree in Educational Psychology from UWA in 1997, a Doctorate in Forensic Science, a Masters in Leadership and Management and became a registered Psychologist from 1997-2008. I am often sent to the USA or the UK to present conferences. I was one of the first women to receive a UWA Full Blue for sporting achievement. I was awarded the Cameron Prize in Education in 1996 for the best Doctoral Thesis for the Faculty of Education and an international Liaison in Canada and America. I was also part of the Who's Who in the World in 2000. I have held a range of senior research positions within the Commonwealth, Western Australian and Victorian governments. I was appointed the inaugural Director of a number of research teams. I am currently a Director of Research with Comcare in Canberra. Some of my fondest memories of MLC would have to be sport. I also taught at MLC as a coach for 10 years between 1983 and 1993 on a voluntary basis. I have enjoyed a range of study areas which have incorporated drugs, alcohol and tobacco; at risk adolescents and juvenile and adult justice along with population, health and social exclusion and community health areas. On MLC: As a student, the thing I most remember is being in trouble for wearing my sports uniform instead of my school uniform.